Nice holiday rentals, great service and a warm welcome! 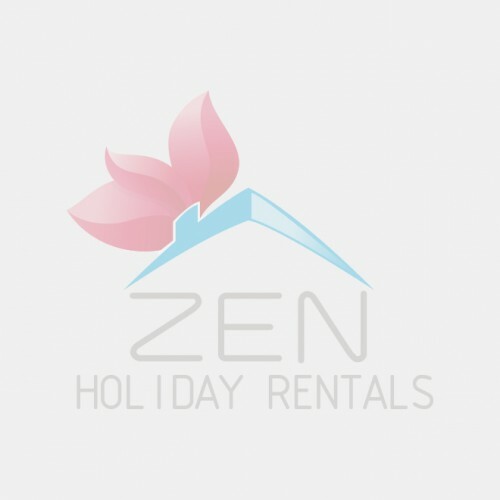 Home » About Us » Why Choose ZEN? With attention to detail and a service-oriented approach to Nice holiday rentals we ensure that you will have every need catered to before you arrive, during your stay and even beyond. Your Zen Holiday Rental apartment will feel like a home away from home. Immerse yourself in the French Riviera lifestyle, cook your own meals with fresh produce from the market, relax and enjoy living like a local for a few days! All of our ZEN Nice holiday rentals are within 10 minutes walking distance to both the famous Place Massena and the beach. We are often involved in the decoration and finishing of our apartments so we are sure that each apartment is up to our high standards and as comfortable as possible for our guests. We offer our guests a personal service, our whole team will work to make sure you have everything you need when you arrive. We are local and we are available 24 hours a day to deal with any emergencies you may have. We offer complete flexibility on arrival days and accept short stays all year round. On arrival each guest is greeted personally by a member of our team and given a full tour of the apartment and a guide to the surrounding area. We offer our guests the convenience of online booking and payment. Upon booking confirmation you will receive a login and password to access the ZEN booking manager. There you will be able to add extras, coordinate your arrival and departure and much more. All our ZEN Holiday Rental apartments are reviewed by our previous guests and you are welcome to read exactly what they have to say about us on each property page. What a dilemma. Be honest or try to keep the flat to ourselves? Let’s be honest. The location is perfect, the flat is perfect and so is the service from Fanny & Co. You are two steps from the old town and still you feel as if you are alone with the beach, and in a save environment. We loved the charming flat, where everything worked. Fanny took care of everything, with a clear communication and even fixed the transfer from the airport at a good price. Made us feel welcome from the moment we booked the flat. Can’t wait to go back!! We loved Fanny’s place! View and location are both fantastic. Elke was our main point of contact during our stay. She let us in and explained everything we needed to know. She was also available via text to help with a couple of questions during our stay, very quick and responsive! Overall we were very happy with our stay and would highly recommend staying here. Fanny’s appartment is simply stunning! Tastefully furnished, an amazing view over the bay, clean and equipped with everything needed (Coffee, Tea, washing maschine, hairdryer, etc). We had a very warm welcome by Elke, Fanny’s colleague. Everything was arranged just as it should. Fanny as well as Elke reacted on messages almost immediately. We spent wonderful days in Nice and didn’t want to leave! We highly recommend to book this apartment. Fanny’s apartment is in a perfect location for enjoying Nice, especially the old town and market areas. With the tram and bus network nearby it’s easy to get everywhere. The space in the flat is great. The terrace has a great view of the Sea and corniche. I enjoyed the kitchen as I like making my own breakfast. Elke (works with Fanny) met me at the building door upon arrival and explained everything. When I had a couple questions later on, she was easily available. I love Nice and would definitely stay here again. Thank you for welcoming us to Nice and into this beautiful apartment! This was our first trip to Nice and Elke was incredibly helpful not only at check in but also during our stay. The apartment is open, clean, nicely decorated, and has the most stunning views. Especially during sun rise and set. It is conveniently located to the old city and great restaurants. Fanny met us as arranged and entering the apartment was truly amazing, looking exactly as the photos! Fanny made us feel so welcome showing us all the comforts and even helping us with local knowledge. The apartment was clean, well stocked and very comfortable. We will certainly highly recommend this property the view is in the range of awesome!! We spent 6 great days in Fanny’s apartment. We we’re greeted by Elke, who answered our questions, gave us restaurant tips and introduced us to the apartment, smoothly and friendly. And on an occasion with some power failure, she responded and came by promptly. We really liked the size and location of the place and enjoyed the view immensely. The place is somewhat more worn as shows from the photos, but everything was in working order. No problem. Would recommend as well as return! First and foremost, we couldn’t have been more pleased with the location of MOULIN. We were just minutes away from the Promenade des Anglais, Promenade du Paillon and the market on Cours Saleya. As for the apartment itself, we were also very happy. Not that big, but still plenty of room for 4 adults and 2 little kids. And yes, while it’s situated 6 stories up, we all managed the stairs with no problems, luggage, kids and all. I guess the bonus, being on the top floor, you’re high enough that the street level noise isn’t a bother. All in all, our experience here was fantastic and it made our time in Nice that much more enjoyable. This was by far one of my favorite places I stayed at on my trip to Europe. The sea front location is gorgeous and it is so convenient to get everywhere. Fanny’s friend Elke greeted us for check in and she’s a warm ray of friendly, cheerful sunshine, we really enjoyed meeting her. Check in process was easy and we loved the bottle of wine and little treats that were provided upon our arrival. The apartment itself is so spacious and beautiful, comfortable and relaxing. We loved the balcony, where we spent some time in the evening drinking wine and gazing at the sea and the people walking past. No complaints, everything was fantastic! It’s such a clean flat, too, and the decor was lovely. Thank you Fanny and Elke! Host was great, very welcoming and was able to accommodate our train delay without difficulty. The location is good, the apartment is very clean. We had a small issue with running out of hot water but the host was very receptive, easy to contact and in communication with us to fix the problem immediately. We would highly recommend this listing! Also – if you want a great meal – #3 on the recommended list of restaurants from Fanny’s map, is incredible. Well dealt with; Fanny smoothly handed it over to her colleague whom we contacted with approximate arrival time. As this closed it, we simply informed Elke 20-30 minutes prior and we both arrived to appartment at the same time. She welcomed us nicely, handed over keys and provided all necessary information! Apartment is clean and has everything you need; Location is absolutely ideal! Only downside is the rest of the building which has seen better days. However, you only walk 10 metres through it so it doesn’t matter. Fanny was very accommodating and friendly!! Would definitely stay in her properties again!! ZEN provided us with all the necessary information about the flat, the neighbourhood and the city. All very well organised. The place is exactly as on the pictures, and Fanny is a very nice and welcoming host, eager to share advice on the city! I definitely recommend! We couldn’t have asked for a better location or more accommodating hosts. Thank you ZEN for taking such great care of us. Fanny is a fantastic host who is super organized and detail oriented. She was also very communicative and helpful. Would recommend! ZEN’s excellent communication and logistics made this a seamless stay. Fanny is the nicest host ever!! She’s awesome 😉 Apartment was clean, convenient and very near the beach and town! The map which she offered was more accurate than another one from tourist information centre!